Eric was born and raised in North Idaho. His strong and lasting Idaho roots began early in his youth as a kid who loved all things outdoors. His work ethic and adventurous spirit lead him to Alaska where he worked catching and preparing wild salmon. Eric returned to the Northwest to continue his education. He has a wide range of business expertise in education, fitness, finance, and fish. 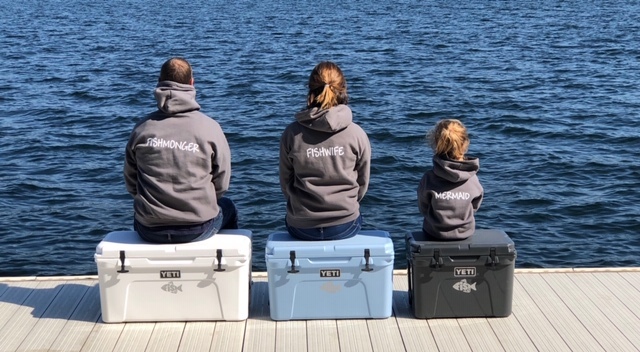 After meeting the love of his life (Katie – “Fishwife”) and having a daughter (Ellie – “Mermaid”), Eric completed his MBA at Gonzaga University and was named Business Student of the Year – this is why he is the CFO… (Go Zags)! 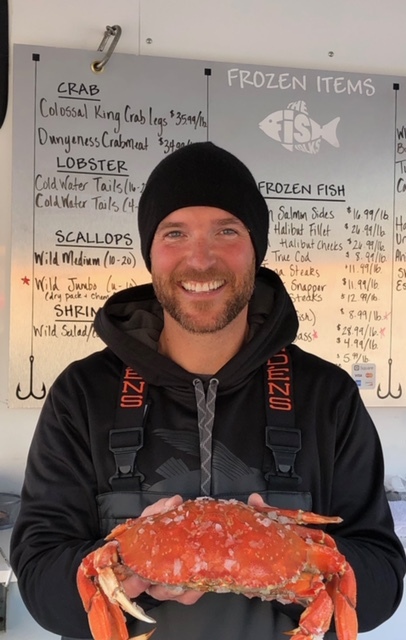 Eric became the owner and CFO of The Fish Folks in 2017. He is grateful and excited to share his passion for providing outstanding customer service and fantastic seafood for you and your loved ones. Katie was born and raised in Spokane, Washington. Her mother and grandmother inspired Katie’s love of cooking and baking at an early age. She moved to Coeur d’Alene, Idaho to begin her teaching career and meet the love of her life (Eric – “Fishmonger”). Katie has a Doctorate in Education and her passion for teaching has been seen in her accolades including, Idaho State Teacher of the Year and Presidential Award Winner for Excellence in Mathematics Teaching. 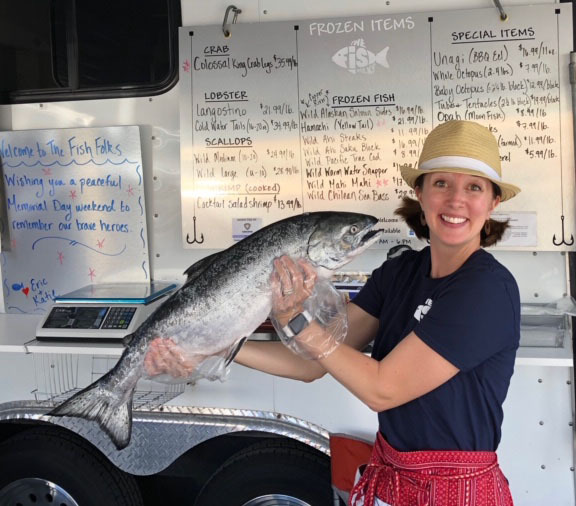 Katie is always busy coming up with new recipes and is excited to share seafood cooking tips and ideas with all of our fish fans. Favorite Fish: “Fish Sticks”- homemade –usually with fresh cod or halibut and a nice panko breading. 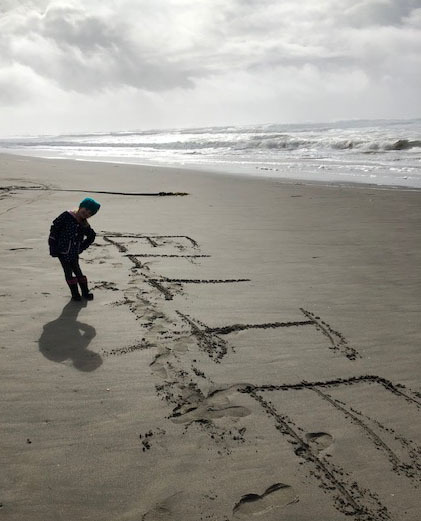 As a fun-loving, curly-haired and active child, Ellie is the self-proclaimed “mermaid” of The Fish Folks. Ellie loves school, learning, riding bikes, camping, fishing, and watching Disney movies. She is an outgoing and sweet little girl who loves showing off her dance moves while listening to classic rock music. Ellie will make guest appearances at The Fish Folks trailer, and you may spot her around town in her mermaid outfit.